The question: “which lacrosse mesh should I use?” Is not asked as often as it should be. With such an abundance of heads, we are more likely to be asked, “What is the best head?”. You might as well ask us which is the best burger. The answer will be the same: The one you like most. It’s like that, the good lacrosse player can play with almost any head. Decisive is the lacrosse mesh. Why and what you have to look for, we show you here. When do I use soft and when hard-mesh? It depends on your preferences or weaknesses. A soft mesh is played much faster than a hard mesh, and it also has some advantages in cradling or catching. One has the feeling of better control. The hard mesh has a longer durability. In addition, you play the passes and shots much faster with the hard mesh. Disadvantage of Hard Mesh is that the ball falls out more easily. Experienced players can deal with it very well, but beginners are more likely to recommend a soft mesh. Before you can ask: Which lacrosse mesh should I use? you should ask “Should I play with a Mesh or Traditional? 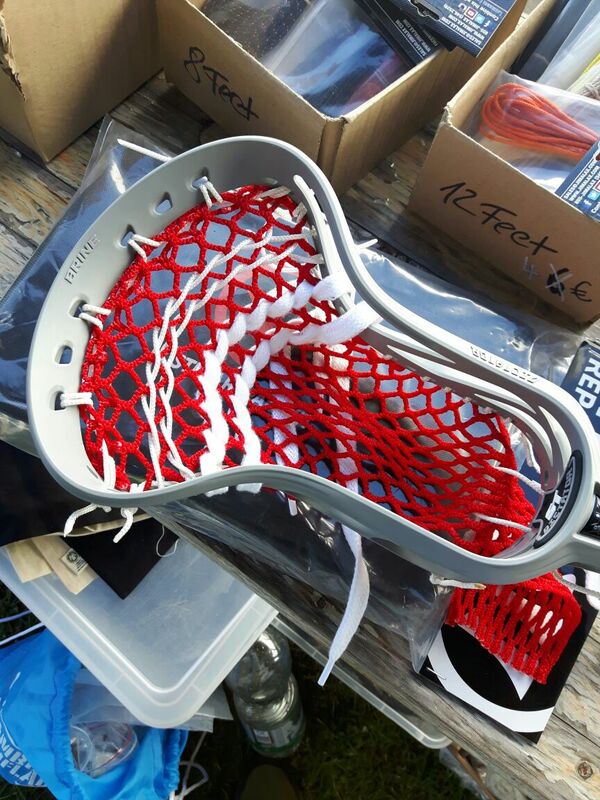 The advantages of using a Lacrosse Mesh over a Traditional Pocket are as follows: Most Stick Stringer can string or repair a Mesh Pocket faster and easier. Not to forget that a Lacrosse Mesh has many advantages of the Traditional Pocket, such as a consistent Pocket, without it has the high maintenance costs. Hard meshes are much faster compared to the Traditional Pocket and not so weather prone. When the leather in the pocket gets wet, it expands, when it dries it becomes stiff and tight. As already mentioned, the soft mesh is more suitable for beginners, but expands also fast on hard passes of more experienced players. Many advanced players do not want to give up their traditional pocket, because the stringing options are virtually unlimited. We offer Hard (or Dura, or Stiff … all the same) Meshes in all colors and variations. Of course also pockets with more or less diamonds. The difference is clear in that a lacrosse mesh with fewer diamonds is played faster, but more diamonds mean more grip. The most important thing here is: what gives you self-confidence and success! This term has been used by most players for years and has an infinite number of descriptions. 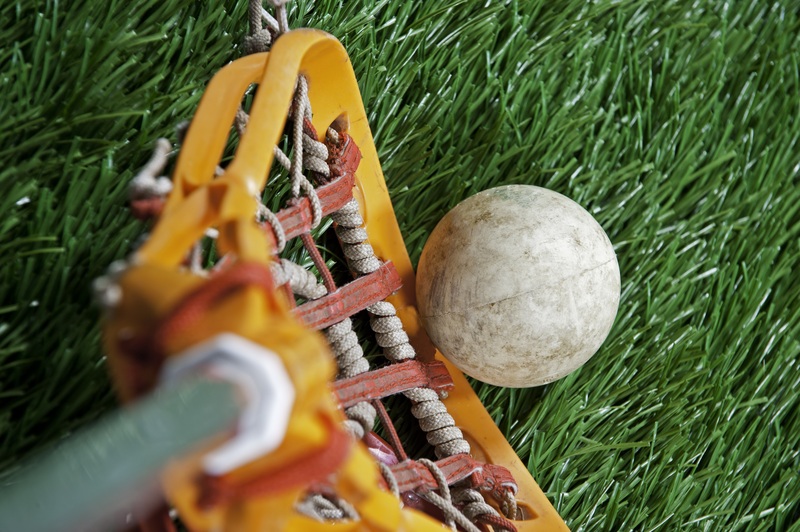 We would define it as follows: How the lacrosse ball feels as it rolls over the shooting strings and leaves the pocket. It should be noted by the lacrosse player when the ball leaves the head. However, the ball should not touch the plastic tip of the head and not just fly out, otherwise you just do not notice that the ball leaves the head. If you say that a stick has too much whip, that means that the ball gets stuck too much on the shooting strings and the passes and shots get too deep. By contrast, too little whip means that the ball does not get stuck enough on the shooting strings and the passes and shots are getting too high. For the perfect whip, you have to “screw” the shooting strings. What do Shooting Strings bring? Hockey or shoelaces are the most commonly used. Synthetic fibers work best because they do absorb more water as cotton. Shooting strings lead to a good pass and can be adjusted to have the perfect whip. V-Pockets are mostly made from hockey ribbons because they are very flat. The V determines the point where the ball lies in the pocket (lower or higher, so in the area of the shooting strings). The V should, however, be incorporated so that the ball is not obstructed. Some lacrosse players like to play with it, others do not. So it just helps to try it out. We hope we could answer you the question: “Which lacrosse mesh should I use?”. If you still have questions or need personal advice, then our customer service is always available.